We are proud to present, what we’ve worked so hard to create, The Codebase! (still in alpha). 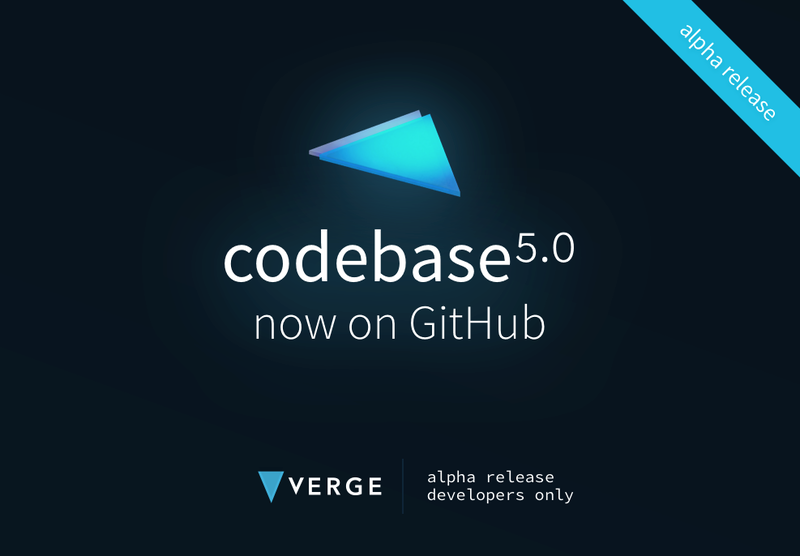 At this very moment you can click here and access our repository to find the Verge 5.0 Codebase, alpha release. Wow Manuel, finally! We’ve been waiting for this. But… Manuel, what does this mean? What does the new codebase version bring? Ok Manuel, but tell me something, what about SegWit and Lightning Network? We aren’t implementing those features; since we have blocks created every 30 seconds and first confirmation usually occurs after 5–10 seconds we don’t need them at the time I’m writing. Manuel, I went through the new repository already, there’s no sign of Ring Confidential Transactions. When is this coming?